Whether you’re looking for approval, trying to keep the peace, or just wanting to do what’s right – choosing the right boundaries can be hard. How do you know when enough is enough? What are the telltale signs that it’s time to put yourself first? 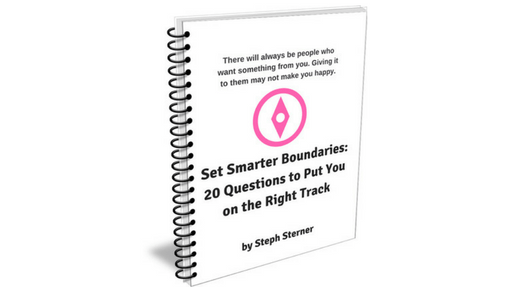 Answering the 20 questions in this guide will show you what’s stopping you from setting smarter boundaries.